Episode 24: Appearance! 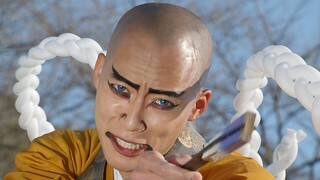 The Mysterious Warrior! This episode features the 2nd half of the crossover with Animal Sentai Zyuohger. 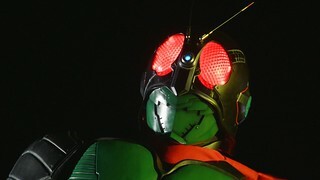 Unlike the last two years, where the crossover special was a bonus episode, this year, the crossovers were aired as regular episodes in the series episode counts. 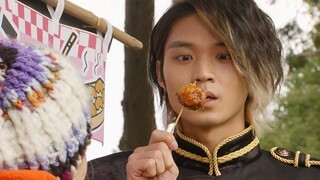 Now that we have the first Zyuohger BD Box, you can watch the first half of the crossover, Zyuohger Episode 7, by clicking HERE. That’ll do it for Ghost’s second BD Box! As mentioned above, there’s no standalone crossover special this year so we’ll be back with more Ghost in October! Episode 23: Heart and Soul! 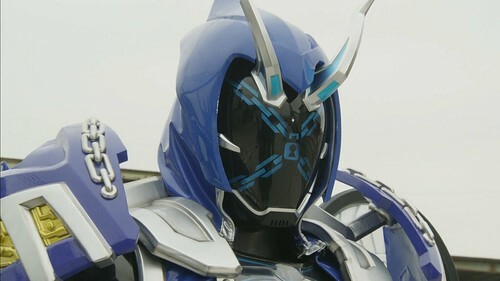 The Big Eyecon! 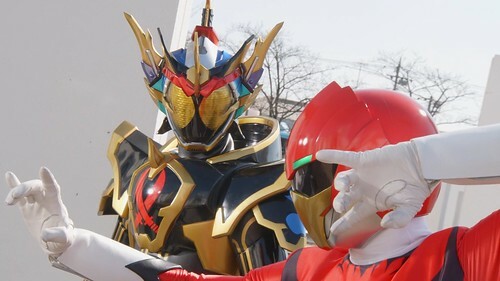 Takeru is horrified at the things he witnessed in the Ganma World, but now with all 15 Eyecons gathered once more and with Alain now somewhat of an ally, he wonders what to do for the future. Their plans are waylaid when Adel sends Javert to the human world once more to kill Alain. Episode 22: Treachery! Adel’s Trap! 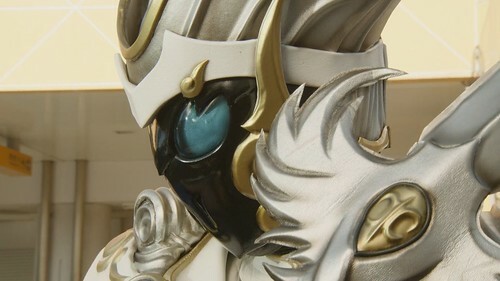 Igor, while tending to his progressing plan, orders the Armor Ganma to destroy the traitor Cubi. 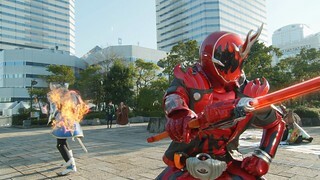 Meanwhile, Takeru, without the support of the heroic Eyecons, starts looking for Makoto. Can Makoto settle things and return? Adel’s scheme is about to take action and will change the world completely. Episode 21: Astonishing! The Ganma World! 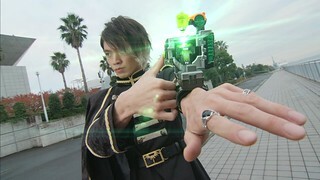 Takeru discovers that Makoto’s real body still exists in the Ganma world, and once that disappears, Makoto will as well. To save Makoto, Takeru enlists the help of Akari who tries to use the Cubi, the Art Supply Ganma, to figure out a way to save Makoto, but Makoto has already gone off on his own to settle matters his own way. Episode 20: Bursting! The Flames of Friendship! 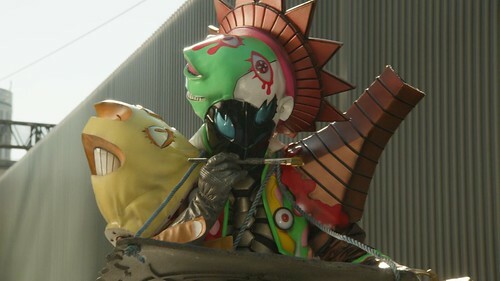 Takeru tries to teach the Art Supply Ganma the meaning of friendship, but must also deal with both Igor and Necrom Specter seeking to destroy the “incomplete” Ganma. Episode 19: Explosive! The Heart to Make Art! 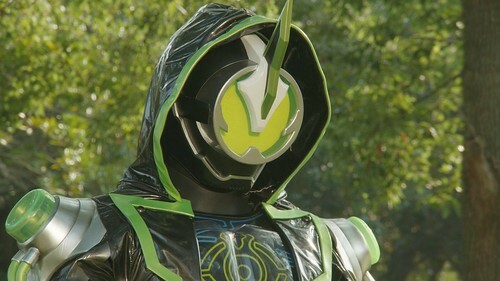 Alain has turned Makoto into Necrom Specter and now has full control of him, calling him the “perfect friend”. 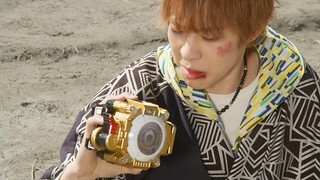 Takeru immediately denies this and promises to get Makoto back. Episode 18: Comeback! Fantastical Science! 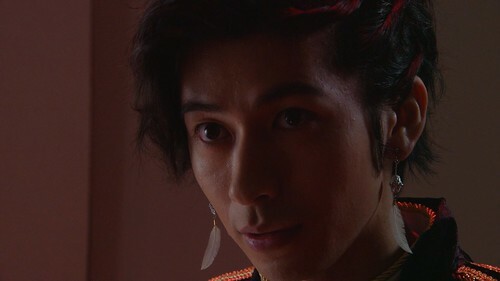 When the spirit of Himiko isn’t the cause of the strange happenings in the city, the Himiko Eyecon leads Takeru to the Ganma World for a revelation. 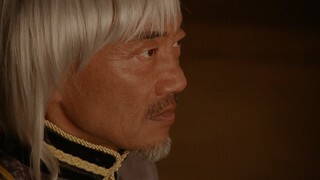 With Makoto also out of action during the continued attacks on young women, Akari and Onari step forward to try to discover the reason for the attacks, but Akari must first improve the Shiranui formulation. Episode 17: Dazzling! The Ethereal Queen! 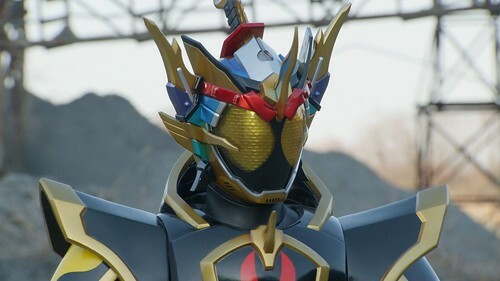 Alain, now able to transform into Kamen Rider Necrom, makes easy work of fighting Ghost and Specter. 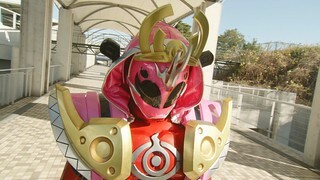 However, for Takeru, it was Alain’s words, not the defeat, that bothered him the most. Episode 16: Perfection! The White Rider! Episode 15: Anguish! The Hard-Headed Escape King! 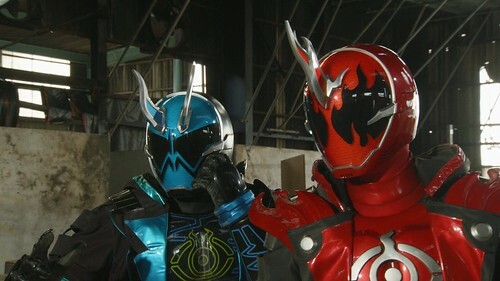 The Fukami siblings, Makoto and Kanon, are approached by Alain and Javert. 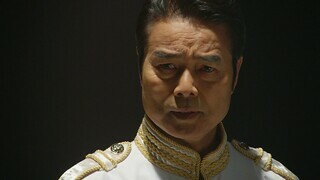 Makoto attempts to fight Javert but is overwhelmed, which results in Kanon being kidnapped. 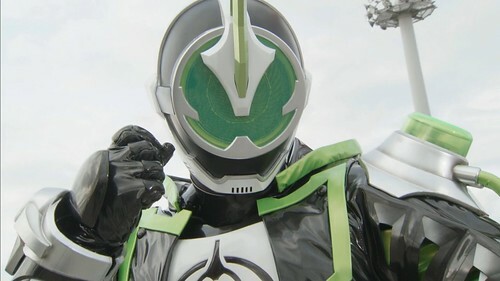 Knowing that he can’t beat Javert as he is, Makoto tries to use the Eyecon of the “Escape King”, Houdini, even though it never let him use its power before.